The word Etrog (a.k.a. Citrus Medica), refers to the incredibly flowery-fragrant, yellow, medium size citrus fruit that sort of looks like a bumpy lemon. However, you might know them for their religious purpose. Etrogs are used during the week-long Jewish holiday of Sukkot. In Modern Hebrew the word etrog is also the name for citron of any variety or form, whether Kosher or not. Typically, unless you have your own tree, Etrogs are not always easy to find when you need or want them...but now you can have them directly shipped right to your door from your favorite name in specialty citrus...Pearson Ranch. Are Etrogs used for more than just religious ceremonies? You bet they are! Having been around since "Biblical" times, people have had centuries to discover and create new culinary uses for the humble etrog. Whether you are using the peel for making etrog jam or preserves, or the essence for Italian Christmas panettone cake for the holidays, or making your own infused alcohol for your newest etrog liquor creation, we've got you covered! They are available September thru March! 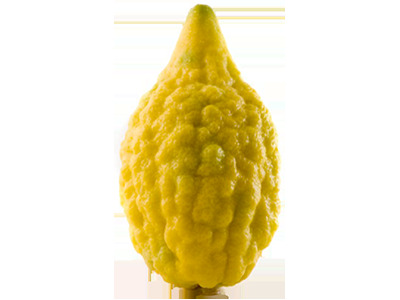 However, be aware that the Etrog season can vary from year to year so please be sure to check for availability. How many pounds of Etrogs do I get in a box? Pearson Ranch sells it's Etrog in 5 pound Quantities. Approx. 7-12 pieces (depending on the size we are shipping at the time we fill your order). For more 10 pounds or more, please call for details.